Which foods are healthy for our heart? A healthy diet is crucial to our health. Modern lifestyle threatens us every day because we eat too much and move too little. Proper nutrition and the regulation of body weight are key factors of recommendations for the prevention of cardiovascular disease. Remove excess weight as you can manage! Reduce the fat in the blood and move as much as you can! Below are some tips on foods you must avoid if you do not want to experience a heart attack in the near future. Reduce oxidative stress and blood pressure using less salty foods. Reduce intake of animal fat. The harmful fats are saturated fats that are high in cholesterol. One leads to the formation of atherosclerotic plaques in the blood vessels. plaques shooting causing embolism and thrombosis. Heart and stroke are the results of this phenomenon. For a healthy heart eating berries that protects the heart and contains healthy polyphenols. Drink red wine, the juice of red grapes and pomegranate. Nuts are great for the heart and blood vessels, as they contain a lot of monounsaturated fatty acids. Olive oil is liquid gold, because it prevents heart disease. What foods are bad for our heart? Sometimes, especially when we are approaching the holidays it is hard to resist food that looks and smells fantastic. If you relax for a day, it will not do much damage to your body, but if it takes too long to relax cardiac, stroke and diabetes are inevitable in the future. You are what you eat. Think of your health! The heart is a magical organ that tirelessly works all his life and saved all of our sweet secret of which is the most beautiful love. Heart disease is the leading cause of death worldwide. Particular risk of developing heart problems are people who have a genetic predisposition, even if the water too hard smoke cigarettes, drink alcohol, eat fatty and salty foods, are overweight, then had a heart attack a certain event. In everyday life should introduce small changes that will gradually day by day improve the health of your heart and prevent the occurrence of diseases. Too much salt in the diet can cause problems with high blood pressure, which leads to damage of blood vessels in the body. Our diet contains much more salt than the amount recommended by contemporary researches. If you think that you will solve the problem such as by removing the salt from the table, it is terribly mistaken. the largest amount of salt coming from stock purchased food such as salted meat, pasta, snacks and food from the restaurant. Enjoy cooking and a Dose daily amount of salt. Your heart will be very grateful. In a healthy body, healthy mind! 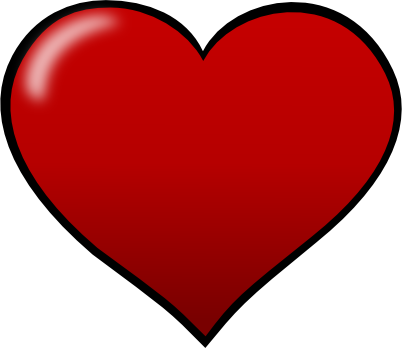 The heart is a muscle, and muscles develop with regular exercise. This condition is called and the matter is quite logical. Run, play basketball, tennis or basketball. Swimming is a great option for a physical, but also mental health. Running improves the health of the coronary blood vessels that feed your heart. Regular physical exercise reduces the risk of atherosclerosis, heart attack and stroke. Half an hour walking or jogging a day is enough. Regular physical exercise reduces the risk of cancer and bone diseases. Good news for chocolate lovers, a fact that has a positive effect on the health of the heart and blood vessels. This applies to the dark chocolate, which effectively lowers blood pressure. Cocoa is healthy, contains antioxidants flavonols. Flavonols involved in the production of sodium oxide which relaxes and expands blood vessels. The result is a lowering of blood pressure. Enjoy dark chocolate, but do not overdo it! Olive oil protects our red blood cells from damage. Cell damage is partly responsible for heart disease, heart attack and stroke, and red blood cells are posebnoo sensitive to oxidative damage because they are the main carriers of oxygen. Extra-virgin olive oil is valuable for your health. When you are preparing food with olive oil, be careful about the temperature. Excessive heat causes damage to the beneficial substances in olive oil. Best vraijanta that olive oil is used fresh in salads and pasta. Music from the earliest times affect human mood, be the most beautiful emotions, relaxes and stimulates creativity. Music acts an anti-stress. Remember that stress is the biggest enemy of your health and a major cause of cancer, heart attack and stroke. Music participates in the regulation of blood pressure and heart rate. Be careful what music you listen to fast aggressive tones raises blood pressure and heart rate. Classical music relaxes, lowers blood pressure and reduced heart rate. The heart is one of the most important organs in the human body. Our heart tirelessly house every day and gives us time to relive all those good things that await us in the miracle we call life. Today, tomorrow and the next day we can each do something beneficial for our health. Proper nutrition and physical activity are essential prerequisites for a healthy and long life. 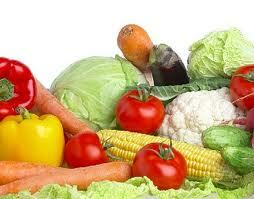 For the health of the heart and blood vessels healthy diet is crucial. Abundant, greasy and spicy food can not be friends with your health. Water is your best friend. Day should drink at least a liter of water. Oranges, cucumbers, plums, tomatoes, pineapple, grapes and olives are special guards your heart. The above foods are especially useful for people who have high blood pressure. Green and black tea and curry positive impact on heart health. Vitamin E always been beneficial effect on the health of your heart. It is found in nuts, dairy products, wheat and olive oil. Folic acid hundredth blood vessels. Can be found in green vegetables, egg yolk and beets. Apples are especially healthy for the heart. Eat apples tonight when you watch your favorite series. Lettuce, spinach and cabbage contain a number of antioxidants that protect your blood vessels from thrombosis. Especially important impact on your health is magnesium. Magnesium is a mineral anti-stress which today can be found in rice, whole grains, almonds, bananas, pumpkin seeds and walnuts. For optimal blood pressure important micronutrients such as selenium, iodine, and iron. Good sources of iron include onions, lentils, beans, peas, dried fruits, dates, figs, prunes and dried apples. Do you think today the health of your heart. What can cause pain in your chest? How many times have you scared because of pain in the chest? This symptom is very unpleasant and brings the fear of a heart attack. I must stress the fact that any kind of pain in the chest, particularly behind the breastbone, very serious symptom and requires a medical examination. Chest pain may be associated with a whole range of causes, such as heart disease, digestive problems or lung disease. Pain in the chest may also be musculosceletal origin. Sometimes the chest pain of psychogenic nature. There are extremely dangerous conditions that must be excluded in the diagnosis of chest pain. These are: myocardial infarction, angina pectoris, and aortic (cracking) of the aorta. Angina pectoris is a common disease, especially in smokers of tobacco and obesity. It occurs due to changes in coronary blood vessels. These are the blood vessels that supply exclusively our hearts. It may be the result of small thrombosis in coronary blood vessels or pain occurs due to contraction (vasoconstriction) of blood vessels. Angina pectoris, especially variant that occurs at rest, it can cause a myocardial infarction, or heart attack. The pain of angina usually occurs in the form of tightness or pressure behind the breastbone. Sometimes spreads to the left arm and the chin. Anginal pain often accompanied by dizziness, sweating, nausea, high blood pressure. The people of angina pectoris often referred to as predinfarkt. Angina pectoris is diagnosed ergonomics. After the exercise test, the decision on coronary angiography. There are several factors that may provoke angina pains. These are mental stress, physical exertion, cold weather, a large meal. The pain of angina usually stop at nitroglycerin and lasts up to 15 minutes. People who know they have angina must bring your nitroglycerin. If the pain does not stop at nitroglycerin, you should contact the emergency room! Heart attack or myocardial infarction is caused by spasm or blockage of the coronary arteries, where stops the flow of blood and oxygen to the heart. Condition in which the heart does not have enough oxygen for their needs is called ischemia. If ischemia is caused long lasting changes, or lesions and necrosis of cardiac muscle. Heart attack accompanied severe pain behind the breastbone, which never ceases to nitroglycerin. It is sometimes accompanied by nausea and vomiting, especially when be said of the myocardial wall of the lower rate. In our work, for fear of a specific patient's decision situations in which the patient is quiet, no panic on his back and complaining of severe pain behind the breastbone. Patients with myocardial infarction are usually silent and worried about his condition. First you need to test the ECG. In most cases, the ECG shows changes in terms of myocardial infarction, but there are forms of stroke in whom there is no change in the ECG tape. There is also a heart attack without pain or "silent heart attack", which usually occurs in patients with long-standing diabetes. The pain of a heart attack is usually localized behind the sternum and has a classic pattern of spread. can go to the left arm, neck, stomach, jaw, and back. sometimes occurs and hiccups. Pain comes with the feeling of breath, choking, fear, excitement, restlessness. If it is a very extensive myocardial then there is hemodynamic instability, cold sweat, and blood pressure immeasurable. A heart attack is fatal mainly due to malignant arrhythmias that accompany it. Sometimes a heart attack discovered a few years later, when the ECG treadmill or ultrasound of the heart scar register and hypokinesis of the heart wall. Valvular heart disease (mitral valve prolapse, aortic stenosis, mitral insufficiency) can also cause chest pain, but humanity changes usually follow choking, especially intense when lying on a flat surface. Inflammation of the lining of the heart or pericarditis may also be the cause of chest pain. Intensifies during deep breathing, coughing, lying on his back. This pain is reduced when bending over and sitting.High risk for inflammation of the lining of the heart making the water around heart failure and pericardial effusion. A large amount of fluid in the pericardium, or pericardial tamponade napkin can cause death. Particularly dangerous and extremely painful condition is aortic dissection. 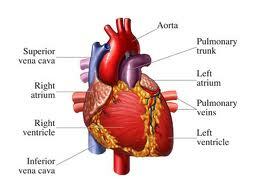 The aorta is the largest blood vessel arising from the heart. Aortic aneurysm is a pathological enlargement, and the weakening of the wall longitudinal aorte. Aorta often shoot in places aneurysm. This is a medical emergency, which quickly leads to tamponade and death if an emergency surgical procedure does not fix. The pain of dissection is tearing, extremely strong, spreading to the back, neck, arms, does not change when you change the position of the body. Very soon nastuopa cardiogenic shock, and death and it is time to help very shortly. A common cause of chest pain are digestive problems, such as a hernia of the stomach (hiatus hernia), acid reflux from the stomach into the esophagus (GERD). This pain is usually associated with heavy meal, followed by heartburn and acid reflux. Taking medications that reduce the production of stomach acid, the pain is reduced. Previously, of course, necessary to exclude a heart attack. Hernia of the stomach may also cause disturbances in heart rhythm. Inflammation of the esophagus or esophagitis may cause pain in the chest. It occurs frequently in alcoholics. Muscle spasm of the esophagus can also cause pain behind the breastbone. Sometimes the cause of chest pain may be lung and pleura (the pleura). The most common diseases are cancer, metastasis, inflammation, adhesions (adhesions), thromboembolism or pulmonary infarction.The pain of pleurisy, or inflammation of the pleura increases in breathing and coughing, reduced lying on the affected side. Adhesions hurt the changing times. The pain of pleurisy is a sharp, piercing and character. Diseases that are localized in the chest wall, may also be the cause of chest pain. These are osteoporosis, scoliosis, neuromuscular disease, fractures of the ribs, komresija nerves, forced standing, sitting, computer work, stretching the muscles in excessive physical exertion. The intensity of the pain varies in pressure. Shingles can cause pain in one half of the chest. In a previous article describes the most common causes of pain in the chest. The occurrence of pain in the chest, it is necessary to rule out serious conditions such as myocardial infarction and aortic dissection. First search to make the EKG, cardiac necrosis markers and echocardiography. 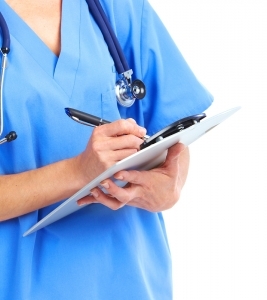 After these searches cardiologist decides about medications and additional diagnostic methods. What's good for your heart? 1 Flaxseed reduces levels of bad cholesterol, which is particularly important for the prevention of heart and blood vessels. 2 Parsley is a herb that strengthens the muscles of the heart, rich in Vitamin C reduces the risk of heart disease, stroke, and atherosclerosis. 3 Mistletoe in small quantities great value regulates blood pressure. It improves the blood circulation, heart function. It has beneficial effects on overall metabolism, especially in the endocrine glands.Mistletoe is a natural substance that helps with headaches, dizziness, anxiety, convulsions, heart problems, angina pectoris attacks, fatigue, fear, lack of will. Mistletoe is used in small amounts and must be PROFESSIONAL MADE. This plant has a beneficial effect on the blood and helps with noise in the ears. 4 Barley has a beneficial effect on blood lipids. helps in reducing bad cholesterol values. Drinking barley reduces morbidity from cardiovascular disease. 6 Nuts are expensive, but they are very healthy. Have a positive effect on the regulation of cholesterol and prevent the occurrence of thrombosis in the circulation. 7 Almonds are also healthy for the heart because they are rich in vitamin E, healthy fats, monosaccharides and polysaccharides. Almonds are great antioxidants, that affect the prevention of atherosclerosis. 8 Apples are great for controlling blood pressure and preventing the formation of clots in the circulation. 9 Garlic is an effective remedy for lowering high blood pressure, but do not overdo it! 10 Melissa and primula are also healthy circulation. 11t Olive oil, oatmeal, salmon, beans and avocado positive effect on heart health. Heart, magical, mysterious heart and the center of the strongest muscle in our body. A unique and remarkable organ that never runs her own will, and it never stops beating even when we sleep. Every day strikes heart beats about 100 000. The average human heart is the size of a closed fist men but as we grow, and it grows, especially if worthwhile exercise or do some sport. Heart is one of the most important organs in the human body, which is why it is extremely important to maintain a healthy and strong heart. 1 Fish - Fish is very beneficial for the body, because in addition to containing polyunsaturated fat, valuable for the prevention of cardiovascular diseases, anti-stress and improve concentration, it is also a rich source of important minerals. Saltwater fish is enriched with iodine, potassium, sodium and copper, while freshwater has less sodium and iodine. All types of fish contain vitamins from group B, valuable for the proper functioning of the nervous system. It is scientifically proven that the middle-aged and elderly who daily eat fish (especially oily fish, which is skimmed and enriched with omega-3 fatty acids) are less likely to develop diseases related to heart disease, diabetes and stroke. Therefore, in any case, good and desirable to include fish in a weekly meal plan, especially oily fish. 2 Fruit and Vegetables-frequent intake of fresh fruits and vegetables is very important to maintain the health of your heart. Apple is extremely rich in quercetin, which acts anti-inflammatory and prevents the formation of blood clots, and contains a lot of vitamins and fiber. 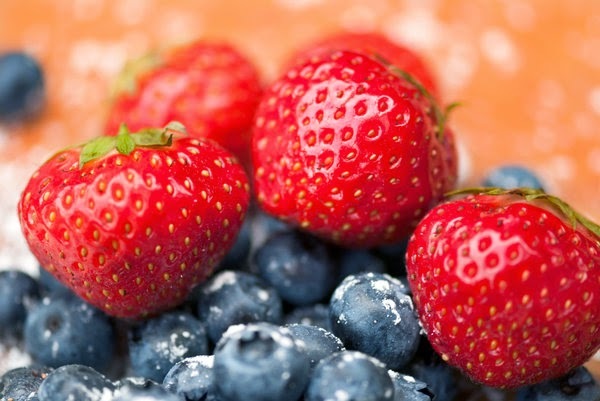 There are also blueberries that are extremely healthy for the heart and circulatory system, avocados, which lowers the bad and raises the good cholesterol in the blood, contains healthy fats and helps in the absorption of beta-carotene and lycopene, which are essential for a healthy heart, tomato with rich vitamins and lycopene, and also lowers the risk of heart disease, along with other fruits and vegetables rich in vitamin C.
3 Tofu - Foods rich in protein is always especially important to health, especially if you are looking for food that is good for your heart health. Yosha if you want food without a lot of fat and calories, it's tofu right choice range for you. Tofu is a food Javanese origin derived clotting protein from soy milk, rich in calcium, potassium and magnesium, not to mention niacin and folate. For this reason, eating tofu examines the prevention of cardiovascular disease, high blood pressure and osteoporosis. Tofu has a mild flavor and is easily combined with other foods. Absorbs other flavors and odors and is therefore the possibility of using tofu in the daily diet is practically unlimited: from the preparation of a variety of spreads, dressings, salads and cold appetizers to main meals that include soups, cream soups, steaks, moussaka, stews and as well as a variety of desserts and sweets. Tofu is also considered an adequate substitute for meat, milk and dairy products of animal origin. 4 Nuts - walnuts, almonds and other nuts contain healthy oils, vitamin E, and other substances that maintain healthy levels of cholesterol in the blood. Almonds are also a great source of protein and natural fiber, considered to be the healthiest foods. Nuts are a great and healthy snack that makes your heart will be grateful. 5 Brown rice - rice in general, energy food, containing protide rich in essential amino acids and low in fat, and the membrane that surrounds, high in fiber, contains potassium, magnesium, selenium and manganese, as well as fatty acids and vitamins such as biotin to - Cocktail of B vitamins and vitamin B1, is essential for the health of the nervous system. But for heart health is more important though brown rice that gently but deeply calming and focusing the work, for the life of the essential organs. 6 Cereals - Cereals are rich in vitamins and natural fibers that contribute to maintaining the health of your heart. It is also good to consume and wholemeal pasta, which is healthier than the ordinary. 7 Oatmeal - degradable fibers, in addition to heart disease, the good and for the prevention of diabetes.It has been scientifically proven that eating these fibers at an early age reduces the risk of chronic diseases such as cancer, diabetes and heart disease. Therefore, many cardiologists for heart health recommend oatmeal as it is rich in degradable fiber, which helps your heart, reducing the amount of bad LDL cholesterol. However, it is not clarified how degradable fiber reduces LDL cholesterol in the blood, but it is speculated that this is a how to act like a sponge that absorbs cholesterol in the gut and then ejects it from the body together with the faeces. In addition to LDL cholesterol, biodegradable fibers can reduce the level of triglycerides, fats that are too dangerous for heart health. 8 Dark chocolate - it is scientifically proven that just a couple of squares of dark chocolate a day can reduce the risk of heart disease, and the secret probably lies in the high level of cocoa. The researchers also found that, in the group of smokers who consumed 40 grams per day of dark chocolate, in a very short period of time established by improved function of the arteries as a result of high levels of cocoa in dark chocolate containing 74% cocoa and is also rich in antioxidants that prevent damage to the heart. 9 Legumes - are very healthy for the heart, particularly beans, especially black beans. Since more difficult to digest provides a feeling of satiety, but not recommended for food more than three times a week. Since it contains a lot of medicinal ingredients, and is rich in folic acid, a beneficial effect in the prevention of heart disease. Statistics show that people with a lack of folic acid are dying as a result of heart problems and even in 69% of cases, more than the control group. To ensure the normal amount of homocysteine ​​in the blood, the recommended consumption of foods rich in folic acid. So be sure to incorporate beans into your weekly menu. 10th And as the icing always comes at the end, remember that red wine is healthy for your heart, but of course in moderation. Since ancient times, is a known fact that red wine is very good for the health of your heart. Alcohol and other ingredients of red wine may be beneficial in the prevention of cardiac disease in the way that alcohol, in moderation, proven increases levels of "good" HDL cholesterol levels, reduces the possibility of thrombosis and protect arteries from damage. Furthermore, the wine contains antioxidants and flavonoids, a substance called resveratrol, which has potential benefits for improving heart health. There is also a grape that contains antioxidants that act against free radicals and prevent cell damage. Also contains substances that protect blood vessels from damage, strengthen capillaries, prevent lipid oxidation and myocardial heart muscle. Some of the components of red grapes stabilized venous blood vessels and thus the risk of developing varicose veins and reduce the accumulation of fat in the blood vessel walls.